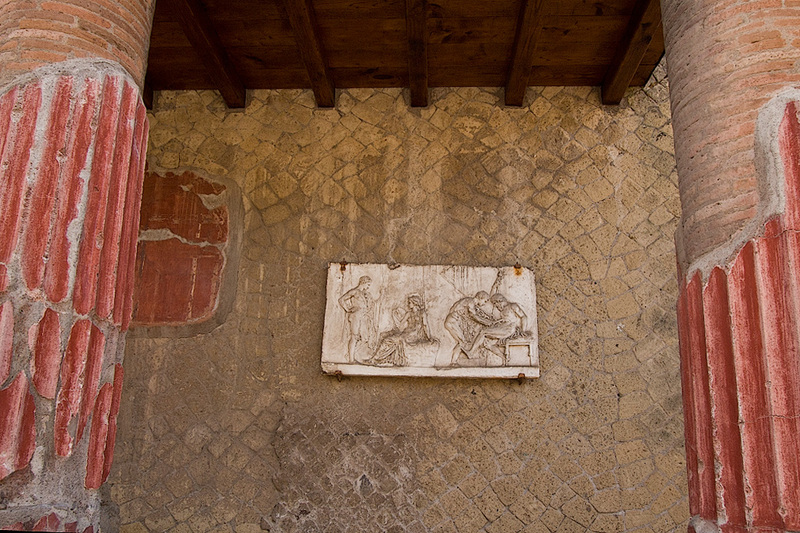 Click on above photo to view it in large format: At Herculaneum, relief of the Myth of Telephus shows son of Hercules, mythical founder of city that was buried by the eruption of Mt. Vesuvius. Today it is displayed on the wall of one of the major estates that was excavated in the ancient Roman city.